Description: Flowering rush is a perennial aquatic plant with emergent upright foliage. Extensive submerged root systems forms unique bulblet rhizomes. Flowers have 3 white to pink petals which bloom June to August. Stems are distinctly triangular in cross section. Flowering rush blooms in a stalked cluster at the top of a triangular stem. 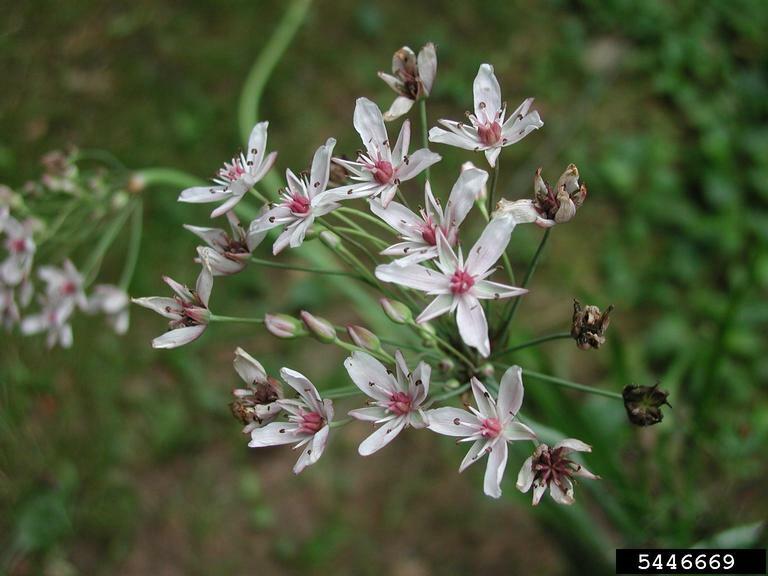 Habitat: Flowering rush requires wet soil and full sunlight as it cannot tolerate shade. It favors riparian areas such as wetlands, shorelines, streams, riverbanks, ditches, and lakes. Invasive Traits: Flowering rush reproduces vegetatively when roots fragment and establish new stands. Dense rhizome networks allow it to quickly overtake an area and choke out native aquatic vegetation. Seeds are readily dispersed in the water. 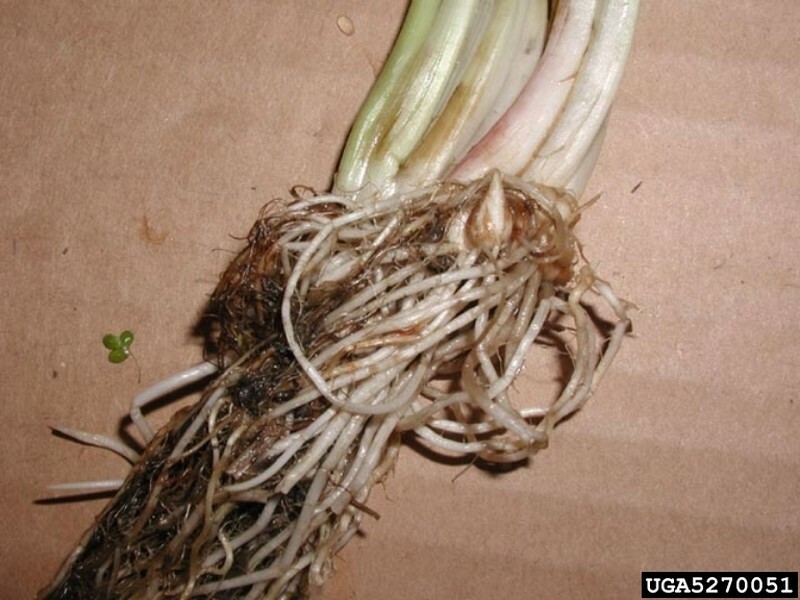 Rhizomes and vegetative bulbils at the base of flowering rush stems ensure multiple means of persistence and spread. Control: Manual removal of above and below water parts can partially control small isolated populations. Herbicide can be effectively applied using foliar spray techniques. Herbicide must be approved for use in aquatic systems.